Some of these run among God’s family and live “in error” (2 Peter 2:18). They can be fruitless trees and “raging waves . . . foaming out their own shame” (Jude 12-13), or like “tares” among the wheat that even the angels have trouble recognizing (Matthew 13:38-40). These won’t listento truth. 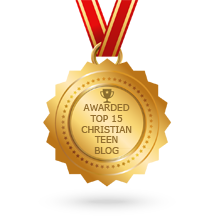 This entry was posted in A CLICK A BLESSING TODAY, CHRISTIAN NUGGETS and tagged Spirits of Truth and Error. Bookmark the permalink.